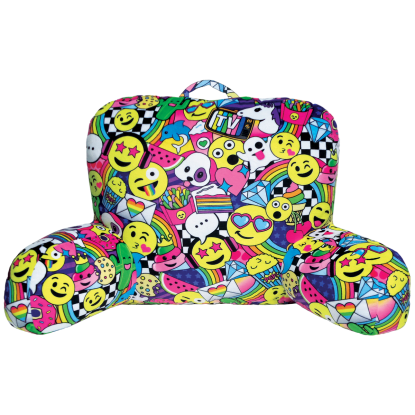 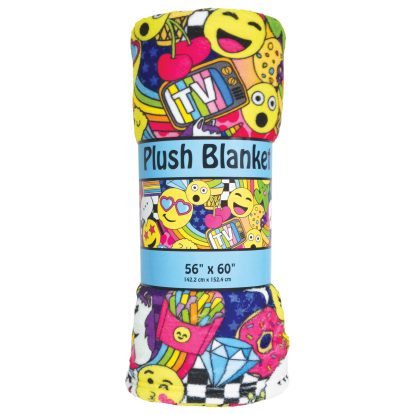 Our emoji party pillowcase set includes two fun designs. 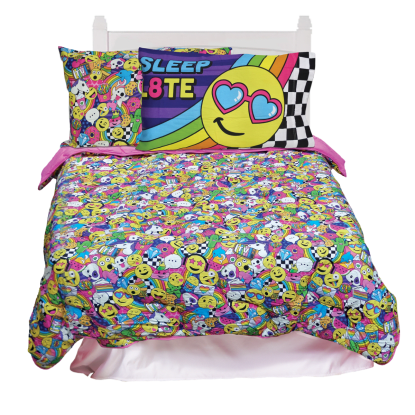 One is splashed with all of your favorite emoji designs and the other includes an emoji with heart eye sunglasses and the phrase "sleep l8te." 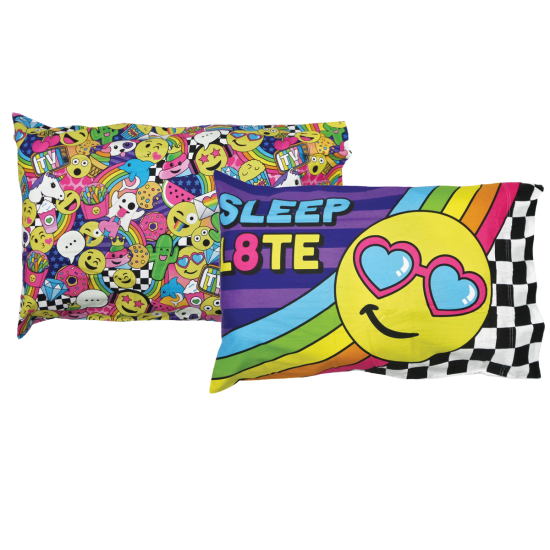 Every day is a party with these fun designs!